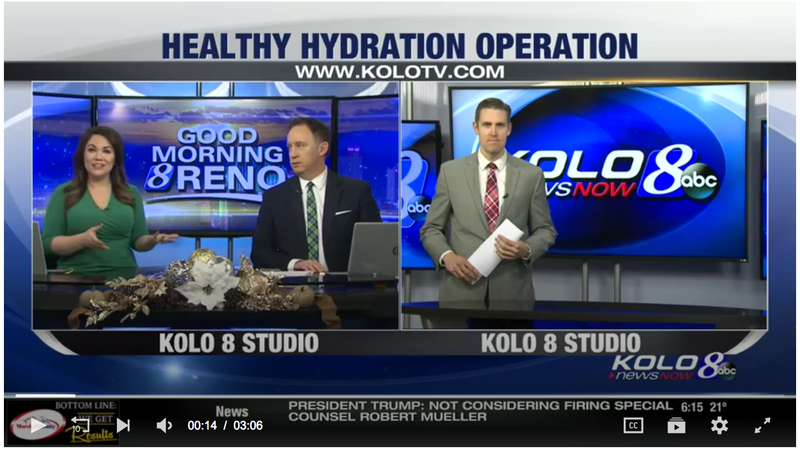 H2Operation presented to the Davidson Academy and was featured on the KOLO8 news ABC. Local teen looks to put the dangers of sugar on display. “[This] presentation was very well done. Students got a visual and very impactful understanding of the amount of sugar in drinks and foods we eat. They also got a concept of what a more healthy sugar intake would be. I myself was shocked at how much added sugar was in sweetened yogurt products. I would love to share your presentation with my own family members and friends. “I was thoroughly impressed with Aiden’s ability to engage student learning throughout his H2Operation presentation. Students were actively engaged throughout the presentation asking questions and especially enjoyed participating in the sugar guessing game!